Ask anybody around the whole world about the most popular dish in the Indian cuisine and instantly you would hear the answer as Tandoori Chicken. Yes, that’s very right, Tandoori chicken has made a symbolic mark as one of the traditional and exotic dishes of the Indian cuisine. Tandoori chicken is a highly popular Indian dish consisting of chicken marinated in a mixture of yoghurt and spices traditionally cooked in high temperatures in a tandoor (clay oven) and also can be prepared on a traditional barbecue grill. In modern version of the recipe, red coloring is used to the dish. Tandoor cooked chicken actually dates back to the Mughal peroid. This delicacy was a main course of the enormous Indian feasts of that day. Other stories of its origins have arisen, such as the one below where few say the story of its origins lies with a man named Kundan Lal Gujral, who ran a restaurant called Moti Mahal in Peshawar before the partition of British India. Trying out new recipes to keep his patrons interested, Gujral tried cooking chicken in tandoors (clay ovens) used by locals until then to cook naan bread. The tandoors are bell-shaped ovens, set into the earth and fired with wood or charcoal reaching temperatures of about 480 degrees. Gujral was able to cook the tender chickens in these ovens making them succulent inside and crispy outside. After the partition in 1947, Punjab was partitioned with the Eastern portion joining India and western Pakistan. Peshawar became part of Pakistan and Gujral found himself one among many Hindu refugees fleeing the rioting and upheaval by moving to India. He moved his restaurant to Delhi in a place called Daryaganj. The dish gained so much fame that even the first Prime Minister of India, Jawaharlal Nehru was so impressed by the Tandoori chicken at Moti Mahal that he made it a regular at most of his official banquets. Visiting dignitaries like the American Presidents Richard Nixon and John F. Kennedy, Soviet leaders Nikolai Bulganin and Nikita Khrushchev, the King of Nepal, and the Shah of Iran have all enjoyed the enticing delicious Tandoori Chicken. The fame of Tandoori Chicken led to many derivatives like Chicken Tikka (and eventually the Indian dish popularized in Britain as Chicken Tikka Masala), commonly found in menus in Indian restaurants all over the world. Tandoori chicken gets its name from the bell-shaped tandoor clay oven which is also used to make naan, or Indian flatbread. Skinless legs and thighs are marinated in a tenderizing mixture of yogurt, lemon juice, and spices and the meat is slashed to the bone in several places helping the marinade penetrate and the chicken cook more quickly. The chicken gets its characteristic red hue from either lots of fiery chile or the addition of red food dye. Now, you don't need a tandoor oven to make tandoori chicken (thank goodness). You can cook it over a grill (charcoal preferred) or just in an oven with a broiler. The key to tandoori chicken is to use bone-in thighs and legs (vah! our favorite cuts) because they have enough fat to stay moist under the heat of the grill. We don't recommend this dish with chicken breasts; they'll dry out too easily. The pieces should be skinless. To make the delicious Tandoori chicken, clean the chicken thoroughly then using a sharp knife cut slashes in the flesh all over the chicken to allow the marinade to penetrate. Place the chicken in a non reactive large, shallow dish. To the chicken pieces apply the mixture of salt, chilli powder and lime juice and keep aside for 15 minutes. To marinade combine all ingredients that includes coriander powder, cumin powder, red chillies, kasuri methi, turmeric, garam masala and red color mix and add salt and yoghurt. Stir until well-mixed, then pour the mixture over the chicken and rub it into the flesh, turning the chicken several times. The chicken may be grilled or roasted. If using a charcoal grill, prepare a fire for direct-heat cooking. Position the grill rack 5 inches from the fire. Allow the coals to burn until white ash covers them and the heat is moderate. Remove the chicken from the marinade, pressing lightly to extract excess marinade, and brush with oil. If roasting, preheat the oven to 450 degrees. Place the chicken on a rack in a roasting pan, brush with oil, and cook, turning once, 25 to 35 minutes until the juices run clear when a piece is pierced near the bone with a knife. Remove from oven and serve hot garnished with sprigs of cilantro and slices of cucumber, red onion, tomato, and lemon wedges. To get the perfect taste of a authentic Tandoori chicken it is best to Cover and refrigerate 8 hours or overnight after marinating the chicken. Remove the chicken from the refrigerator at least 30 minutes before cooking. This is an authentic recipe for Tandoori chicken. It is best served with long grain Onion, lemon wedges, and Basmati rice and cucumber salad and eaten with Tandoori Rotis or Naan (Indian Bread). Description : Tandoori Chicken Recipe made easy, learn how to make Tandoori Chicken Recipes at home. 1. Clean and Cut 2 or 3 long slits on each piece. Apply salt ,chilli pdr and lime juice all over the chicken and keep aside for 15 minutes. 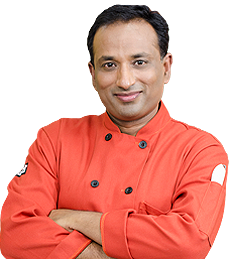 2. make marination with coriander powder, cumin powder, red chilies, kastoorimethi ,turmeric garam masala pdr red color to a smooth paste. Add 1/2 tsp salt to the paste and mix well with yogurt. 4. Preheat your oven to 425 degree Fahrenheit. Cook for 20 to 35 minutes till the chicken is tender. 5. Remove from oven and serve hot, garnished with sliced onions and lime wedges. Serving Ideas:Everybody loves grilled chicken and this especially is an all time favorite.